Beyond assisted dying legislation are people working in the background to comfort patients and help facilitate medically assisted deaths. Meaghan Jackson vividly recalls playing a tune for a woman who ended her life using medical assistance. 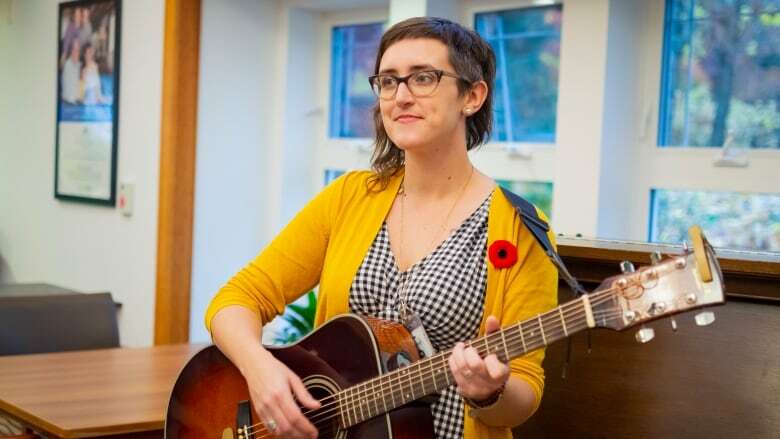 As she listened to stories from the terminally ill patient's childhood, Jackson, a music therapist at Lion's Gate Hospital, strummed her guitar at her bedside. The Vancouver-based musician typically works with palliative care patients, offering support to people facing the end of life. Playing for the 70-year-old woman — diagnosed with late-stage cancer — was Jackson's first experience with a medically assisted death. "It's a real intense experience being with someone as they take their last breath. It's an honour," Jackson told Cross Country Checkup host Duncan McCue. The conversation surrounding medically assisted dying renewed last week following the death of Audrey Parker. 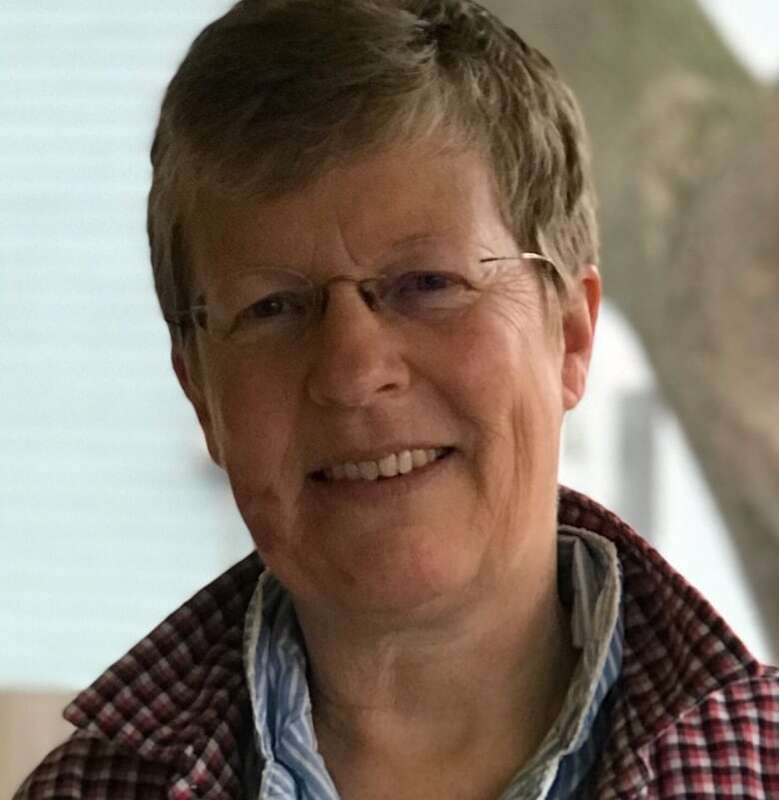 The Halifax woman advocated for the legalization of advanced directives — a document that allows health professionals to perform an assisted death after that patient loses mental capacity. Current legislation requires patients to be fully aware when requesting and, ultimately, completing the procedure. Justice Minister Jody Wilson-Raybould said last week that there would be no changes to the law. But beyond the legislation are people like Jackson working in the background to comfort patients or those who help facilitate medically assisted deaths by coordinating volunteer witnesses, for instance. Amanda La Rougetel, a volunteer witness for Dying With Dignity Canada — an assisted death advocacy group — says she signs an individual's application if they don't have the appropriate connections or support. "I will sign [their application] witnessing that they have answered the questions," she told McCue. Those questions amount to informed consent, ensuring a patient understands what they're agreeing to. If Le Rougetel has any doubts, she says she won't put her name on the form. Under Bill C-14, medically assisted death applications require two independent witnesses with no familial connections and who stand no chance to benefit from the patient's death. "I'm a stranger to the person; they are a stranger to me," she said. "I can perform this very simple required task and I like to do it. I feel like it's a service." While some like Le Rougetel have little relationship to the patients they see — "I pop in and I pop out," she said — Jackson may work with her patients over a period of time. "As a music therapist, it's so important that the patients feel supported by the staff," she said. At Lion's Gate Hospital, Jackson runs workshops to teach breathing skills and helps patients create their life's mixtape. "We believe that access to early psychosocial support earlier on in their illness will help support them have a better death." When Jackson first met the palliative care patient and her husband at one of her workshops, they talked about the couple's love of music and how important it was to them. Later, Jackson met the couple again — privately this time. She played a ballad version of the Beatles' I Want To Hold Your Hand for the ailing woman. At that point, her condition had worsened, and the patient chose to receive a medically assisted death. The couple asked Jackson to play at the procedure last fall. "I think it's important to remember that no matter how someone chooses — whether naturally or whether it's [with] medical assistance in dying — to take that time to honour this passage this tremendous life experience," Jackson said. So, surrounded by friends and family, Jackson played a cover of Let It Be at the woman's bedside, just before her death. "I'll never forget her looking up at us and saying that she felt like she was among friends," she said. Written by Jason Vermes. Interview with Meaghan Jackson produced by Samantha Lui.